On the day that Montgomery County Officer Noah Leotta died, Chief Manger spoke to the media about Officer Leotta’s sacrifice. 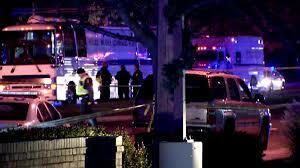 Chief Manger became impassioned when talking about the driver who was under the influence of alcohol when he killed Officer Leotta – the driver who had previously been arrested three times for driving under the influence (DUI) offenses. 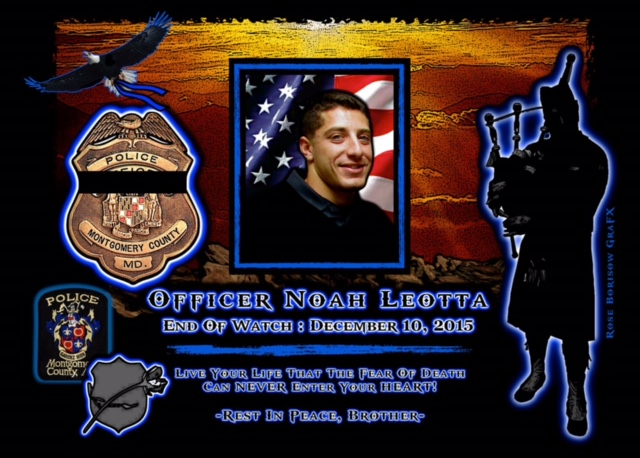 The sitting Montgomery County Grand Jury indicted* Luis Gustavo Reluzco,a 47, of Rolling Meadow Way in Olney, for striking and killing Montgomery County Police Officer Noah Leotta (Lee-ah-ta). Reluzco has been indicted on the following charges: manslaughter by automobile and failure to make a lane change or slow to a reasonable or prudent speed upon approach of an emergency vehicle on a highway (commonly referred to as the “Move Over Law” – Maryland Transportation Article 21-405). 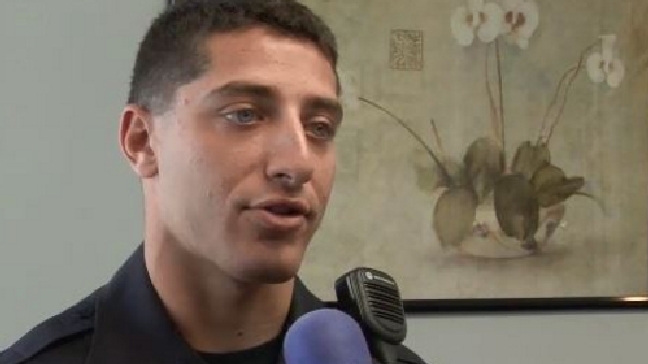 Luis Gustavo Reluzco had a Blood Alcohol Content (BAC) of .22 when he struck Officer Noah Leotta. 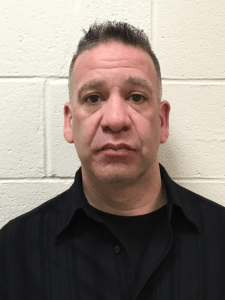 At approximately 1:05 p.m. Feb. 11, 2016, Reluzco turned himself in at the Montgomery County Sheriff’s Office; Reluzco was accompanied by his attorney. Reluzco was transported to the Central Processing Unit. Bond information is not available at this time. (*N.B. An indictment is not a finding of guilt. It is merely a formal charge until and if the defendant is found guilty in a future judicial proceeding. All defendants are innocent until proven guilty in a court of law). Several legislators in Annapolis to strengthen the laws and penalties for drunk and impaired driving. (Proposed bills are described below). To ensure that prosecutors are in agreement that strong prosecutions are needed, especially for repeat DUI offenders. On the development of a Court Watch program that involves volunteers who would observe court cases involving repeat DUI offenders and monitor judges’ sentencing decisions. The Department of Corrections to ensure jail time is given to DUI offenders and that home detention is not an option. 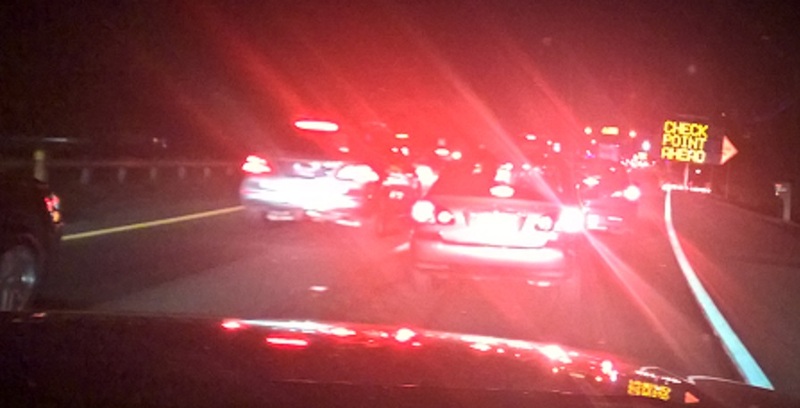 Delegate Kramer and Senator Raskin of Montgomery County have introduced legislation that will require interlock devices to be used by all drivers convicted of impaired driving. 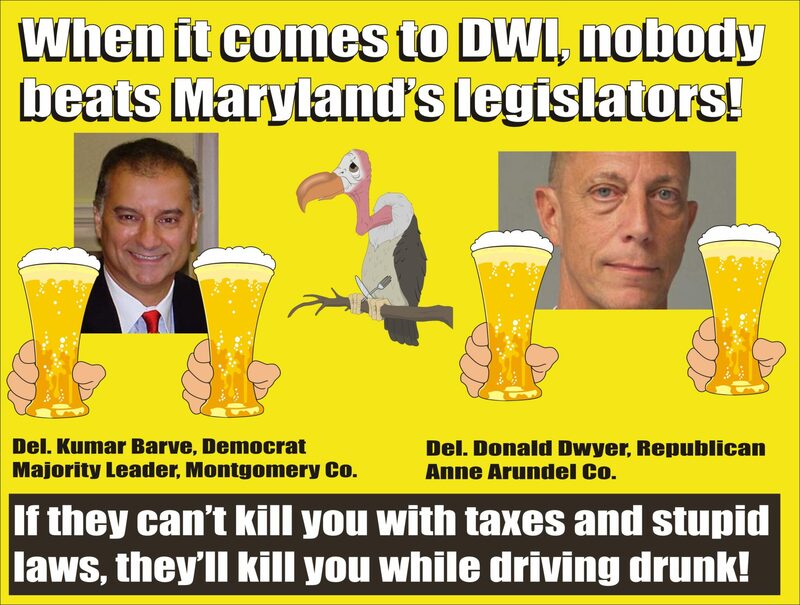 Presently under Maryland law, only persons who are convicted of DUI with a blood alcohol concentration (BAC) of .15 or more (.08 the legal limit in Maryland) and repeat offenders are assigned interlocks by the Motor Vehicle Administration. 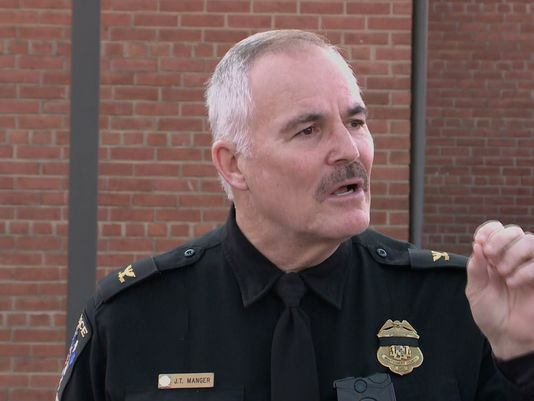 The Chief is also asking the legislature to increase the penalties for anyone convicted of driving while impaired that results in a death of another person. Currently, the maximum penalty that a person faces for causing the death of another while operating a motor vehicle is ten years in jail. In Maryland, the maximum penalty for homicide by motor vehicle while under the influence is 5 years and is one of the lowest penalties in the nation. This legislation is the top priority for Mothers Against Drunk Driving (MADD) and has been identified as important legislation by Advocates for Auto and Highway Safety. Delegate Fraser-Hildago has drafted legislation that adds a penalty of one-year maximum in jail and increases the already existing maximum fine amount from $2,500 to $5,000 for a first offense for providing alcohol to those who are underage. For a subsequent offense, the legislation would increase the existing maximum fine from $5,000 to $7,500 and add a penalty of a maximum of two years in jail. Delegate Dumais has drafted legislation that would allow a victim’s family to seek civil action against an establishment and/or an individual who wrongfully sells or furnishes alcohol to a person. This law exists in several other states but does not exist in Maryland. Delegate Fraser-Hidalgo proposes enhancing the Negligent Driving law. Currently, a person who drives negligently and causes the death of another is issued a pre-payable traffic citation for negligent driving; the person never has to appear in court. This new legislation requires that a person who drives negligently and causes the death of another person to appear in court. This entry was posted in DUI convictions, DWI arrest photos, DWI Arrests by State, injury or death, Judges and Lawyers charged DWI / DUI, Lawmakers who refuse to strengthen DUI laws, Police officers killed by drunk drivers, Politicians charged with DWI/DUI, repeat offender, Top Cops and tagged death of another person., Delegate Dumais, Delegate Fraser-Hildago, Delegate Kramer and Senator Raskin, homicide by motor vehicle, increase the penalties for anyone convicted of driving while impaired, Montgomery County Officer Noah Leotta, Officer Noah Leotta, require interlock devices to be used by all drivers convicted of impaired driving. Bookmark the permalink.